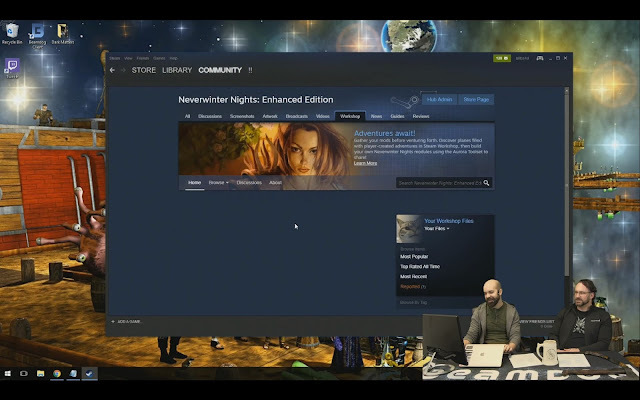 Neverwinter Nights: Enhanced Edition is coming to Steam! Today’s livestream with Beamdog CEO Trent Oster and Studio Director Phillip Daigle revealed two big updates for Neverwinter Nights: Enhanced Edition - new character models and news about the NWN:EE beta on Steam! 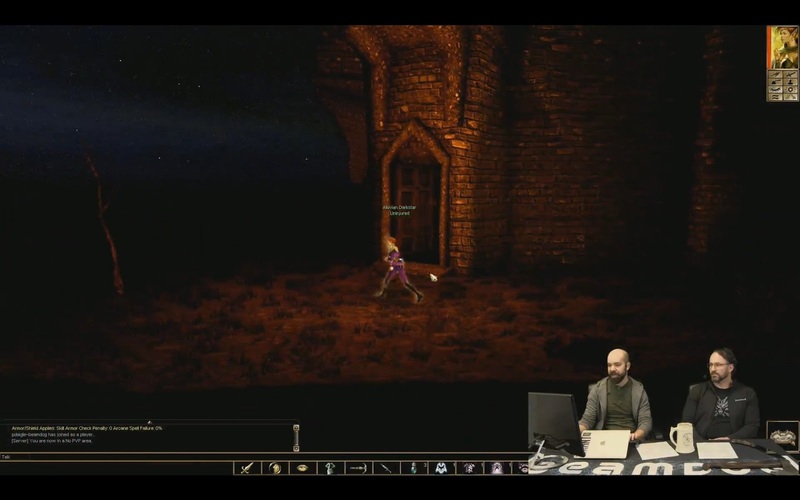 They also shared news about the open beta for the upcoming 2.5 patch for Baldur’s Gate: Enhanced Edition, Baldur’s Gate II: Enhanced Edition and Icewind Dale: Enhanced Edition. 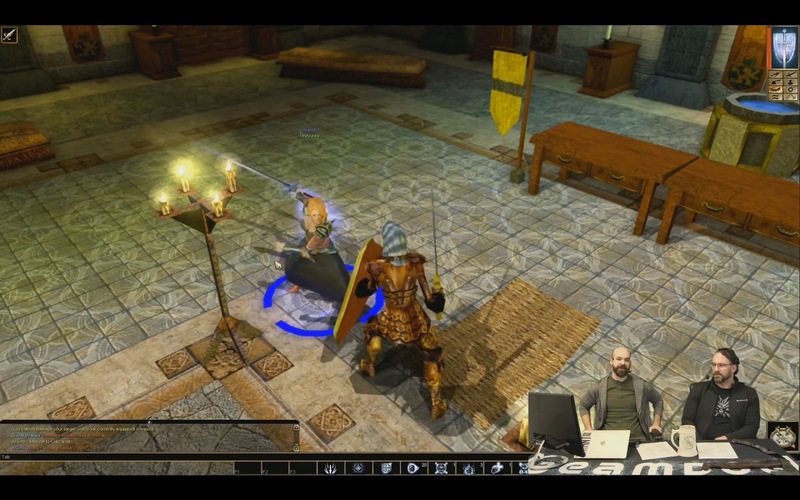 The 2.5 open beta for Baldur’s Gate: Enhanced Edition, Baldur’s Gate II: Enhanced Edition and Icewind Dale: Enhanced Edition is getting a continuation, this time with additional languages. BG:EE will get Hungarian, while BGII:EE will receive Polish, original Polish VO, Russian, original Italian VO, and original German VO. Other languages may be added to the 2.5 open beta, so stay tuned. 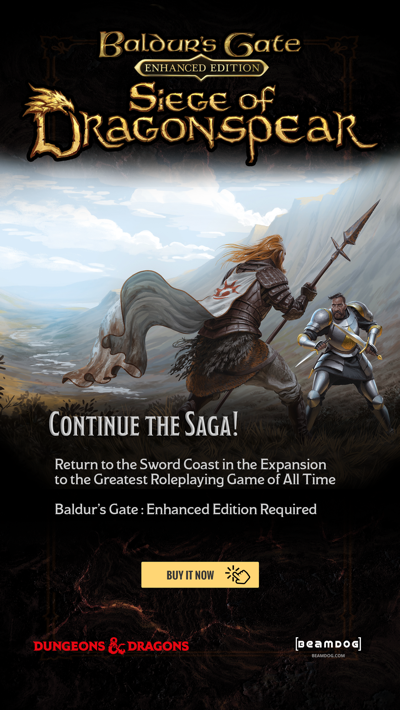 A translation of Baldur’s Gate: Siege of Dragonspear into Brazilian/Portuguese is nearly finished, we expect to release it with the full 2.5 patch. Planescape: Torment: Enhanced Edition will get a Czech localization (currently available only on Steam) on Beamdog, GOG and other platforms soon. Check out full patch notes for 8157 & 8158. 8157 brings regression fixes, while 8158 is all about neat stuff: Steam support, better support for Normal and Specular maps, and more. Last week we included support for Norm/Spec maps into NWN:EE. 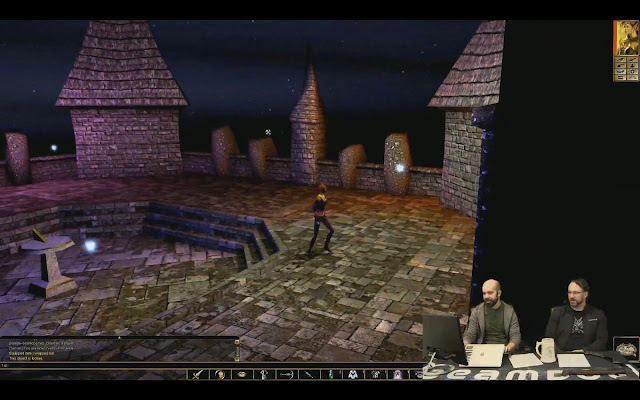 The talented Neverwinter Nights community immediately ran off with the new feature to start work on pretty crazy stuff. It’s still early days, but the difference Norm/Spec maps provides is exciting. Neverblender by Symmetric addedNorm/Spec maps and Symphony, showed us what is already being done with Normal and Specular maps in Neverwinter Nights: Enhanced Edition. The community has been extremely busy this week. We can’t wait to see what they will come up with next. 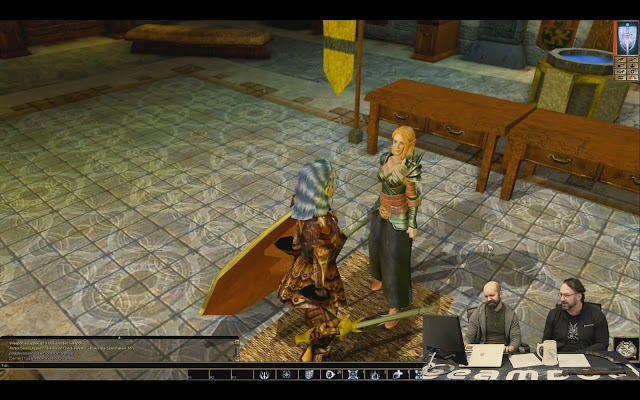 New character models are coming to Neverwinter Nights: Enhanced Edition! Lady Aribeth de Tylmarande is leading the charge on the new look. We are planning to update character models in steps as we move forward. 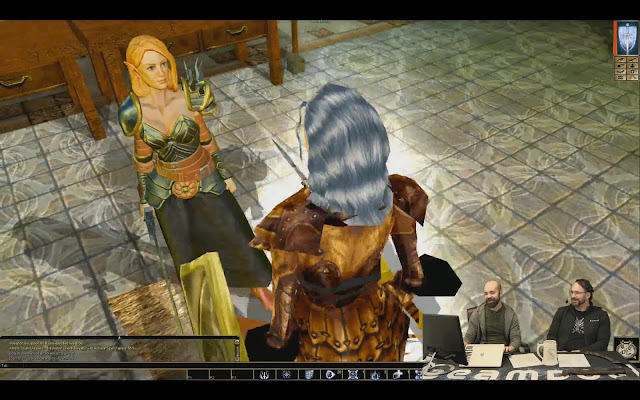 After NWN:EE is released, you will continue getting updates with new character models. New character models for Neverwinter Nights: Enhanced Edition will be available through the Steam workshop. It’s up to you to decide whether you want to use them or you prefer to play with original models. 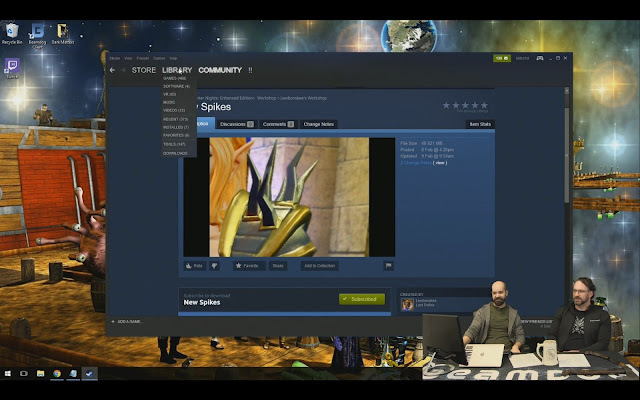 Once we push the beta for NWN:EE on Steam live, you will be able to populate the Workshop with your own creations. Normal and Specular map testing on updated geometry are several clicks from the player. 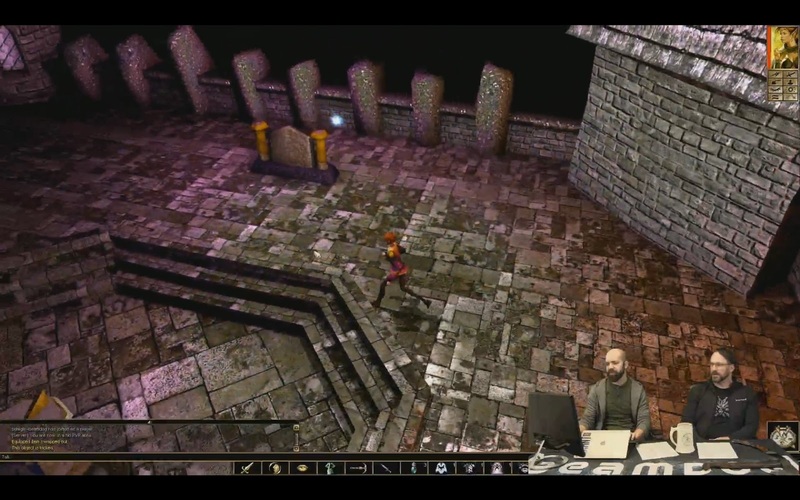 We have to finish the baseline before doing new content for Neverwinter Nights: Enhanced Edition. We’re still skimming and plotting ideas for new content. Animations in Neverwinter Nights: Enhanced Edition work fine but we’d like to improve them. 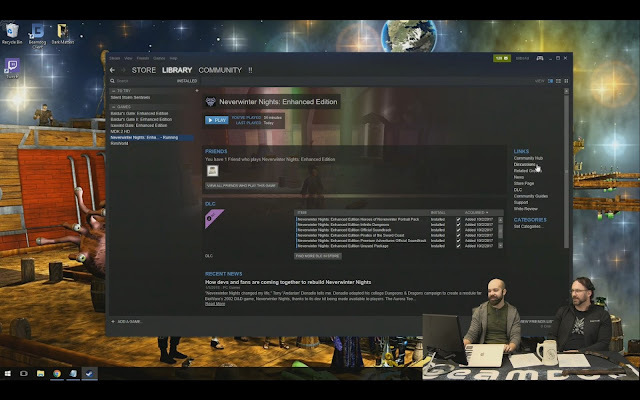 The NWN:EE toolset is one of the things we’ll look into. It’s a big project. Familiar gameplay with the new look! When you use new models, everything works like it should. Throughout the coming week, we will be rolling out early invitations to the NWN:EE beta on Steam. If you hop over to our special Discord channel you will be able to request a Steam key. Invitations will be limited on a day-to-day basis. 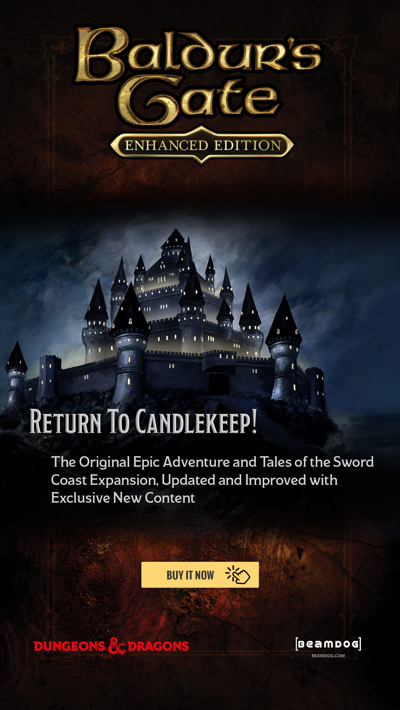 On Feb 16, we plan to email all Neverwinter Nights: Enhanced Edition Head Start owners beta keys. 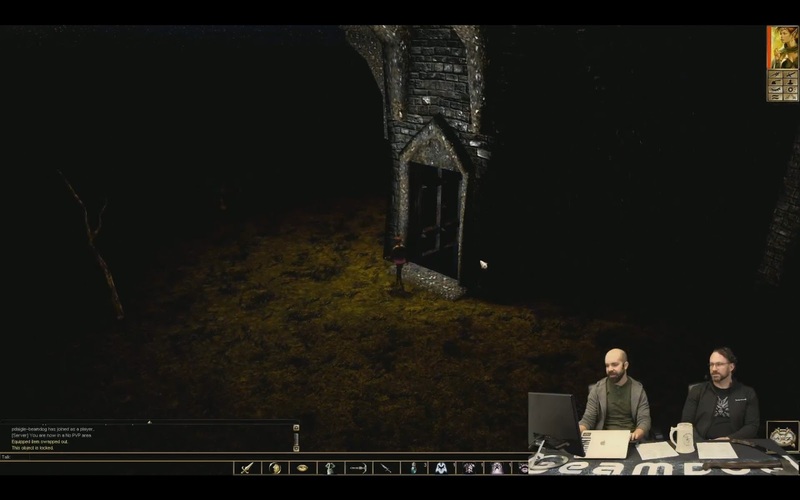 Activating a Steam key doesn’t disable your Beamdog version. When the beta is over, beta Steam keys will deactivate and Head Start owners will be supplied full NWN:EE steam keys for all NWN:EE content purchased. The NWN:EE beta on Steam will support the Steam Friends List. It’s as easy to use as you could think: on your Steam overlay you choose the Friends List and invite a buddy into your game, without any port-forwarding on your router. Gosh, the new Lady Aribeth de Tylmarande is absolutely RAVISHING! I'll definitely be playing with her updated model! Thanks, Beamdog/modellers! This also sounds like an exciting time for potential Steam-purchasers, though I always buy directly from Beamdog, for three major reasons: 1.) Better support and earlier access to betas; 2.) DRM-free! And 3.) To better support the developers' AWESOME work! You guys ROCK! "When the beta is over, beta Steam keys will deactivate and Head Start owners will be supplied full NWN:EE steam keys for all NWN:EE content purchased." Does this mean if I own the game on Beamdog right now, I'll receive a game key for Steam when it officially releases on Steam?